When you learn you have cancer, seeing the dentist is probably the last thing on your mind, but there are important benefits to scheduling a dental visit before your treatments, if possible. Many dental problems, like gum disease, involve infection and bacteria that can flare up and become serious during your treatment. On the flip side, even low levels of dental infection can keep your immune system busy when it has more important things to do. Your dentist will also want to minimize the risk of your having dental problems during therapy. Dental treatment is usually not recommended during chemotherapy and other cancer treatments so it is good to make sure your teeth are healthy and strong. The goal is to prevent pain and unnecessary emergencies. If you or someone you know receives a cancer diagnosis, be sure to check with your doctor about scheduling a pre-treatment dental visit. Your dentist can be part of your cancer team, too. It never feels like it will happen to you or someone you love. After all, you don't smoke or chew tobacco. Right? Oral cancer is on the rise and more and more of the cases involve people who seem healthy and don't smoke. It is important that everyone is screened regularly. This disease is a very dangerous one. When not found early it often leads to disfigurement or death and there is only a 50% chance of surviving 5 years. Those are not good odds or a risk we want you to take. 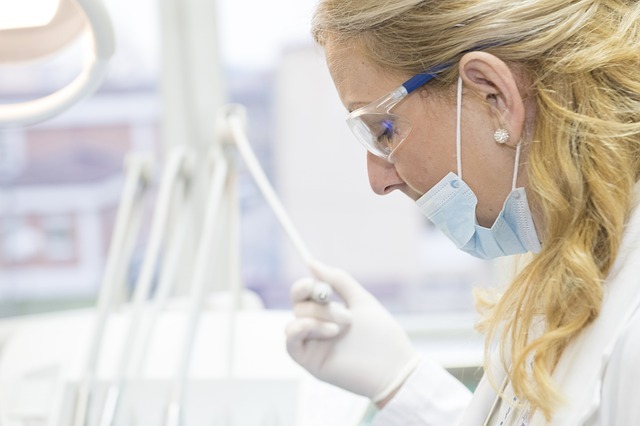 In our office we provide free oral cancer screenings with every dental exam or professional cleaning. You may not even know we are doing it, but we are. We encourage you to do what you can to prevent this dangerous disease and see your dentist if you have any concerns about something in your mouth. What You Should Do if a Crown or Bridge Comes Out? Crowns, caps, and bridges need to be microscopically sealed to keep your teeth safe, so if you are suspicious one is getting loose see your dentist right away. Sometimes they don't give any warning and you are faced with a more urgent situation. The first thing to do is call and make a dental appointment as soon as possible. If it is after hours and you are not in serious pain, you should be okay until they return your call when they come back in. Usually, any discomfort you feel will not get worse before your dental visit. When you go in for your appointment, don't forget to take the crown. In the meantime, look inside the crown. 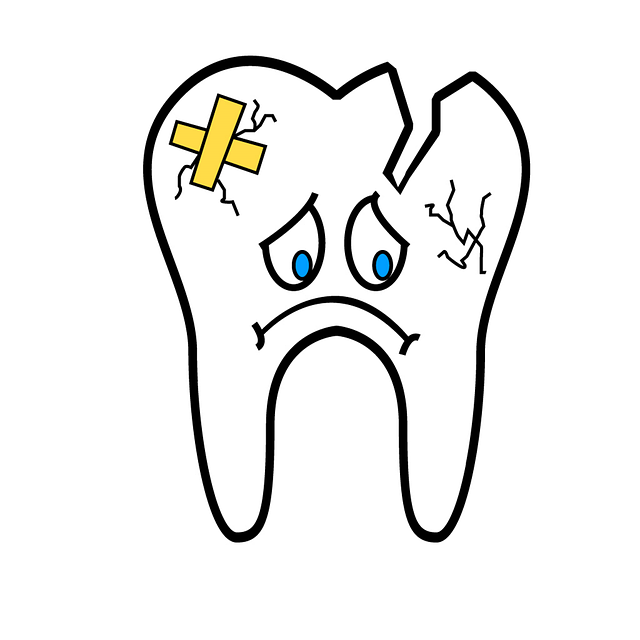 If there is a piece of tooth in it your tooth has broken and could be damaged if you try to temporarily put the crown back in. Check your tooth, too. If it has a hole in the middle or a post sticking out of it you will want to leave it alone. Be sure to chew carefully on the other side until your dental appointment. If your tooth looks intact, you can temporarily re-cement the crown with denture adhesive or kits you can get at the drugstore. Be very gentle doing this, don't force it. If the crown does not feel secure, you may want to leave it out so you don't accidentally swallow it if it comes loose again. When you see the dentist they will re-cement the crown or let you know if additional treatment is needed. You will soon be smiling and chewing normally, again. It is easy to imagine that once a problem tooth has been removed the issue is over, but there may be some things you haven't thought of. Your Other Teeth May Be at Risk - your teeth work together in a balanced system and any change can throw it off. When a tooth is missing, neighboring teeth will tip into the space and upper and lower teeth can grow out of the bone t as they look for the partner tooth to bite against. There is also risk of additional stress or fractures as other teeth become misaligned or take on more stress then they are meant to handle. 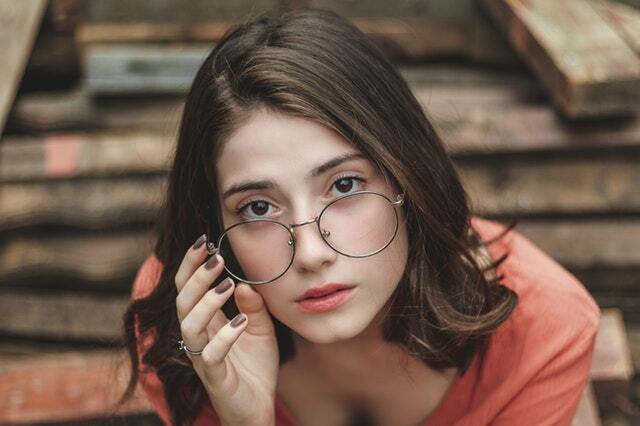 Your Appearance Can Be Impacted - having a gap in your smile is an obvious cosmetic issue, but there are other ways that a missing tooth can effect how you look. Over time your teeth can spread out because of the extra space and leave small gaps in your smile even if the missing teeth are in the back. Your face can also begin to look thin and gaunt if your cheeks are not supported by teeth. You May Not be Absorbing Nutrients - chewing food is an important step in the digestive process. It breaks down the food so that it can be processed and absorbed into your system. It is common for people with several missing teeth to have digestive issues and not be able to absorb nutrients that are critical to their health. Retirement is something to look forward to. The golden years bring forward visions of relaxation, travel, and play without having responsibilities or having to go to work every day. But, expensive dental problems and emergencies can make those years feel not so golden. 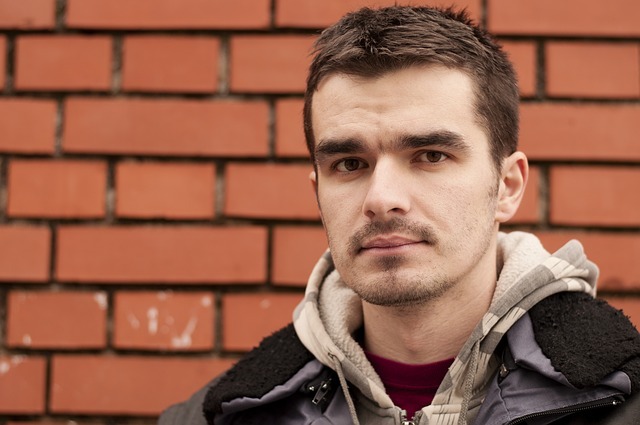 For some, they can have a huge impact on financial security and require difficult decisions. Using your available insurance to prepare your mouth for years when you may not have it. 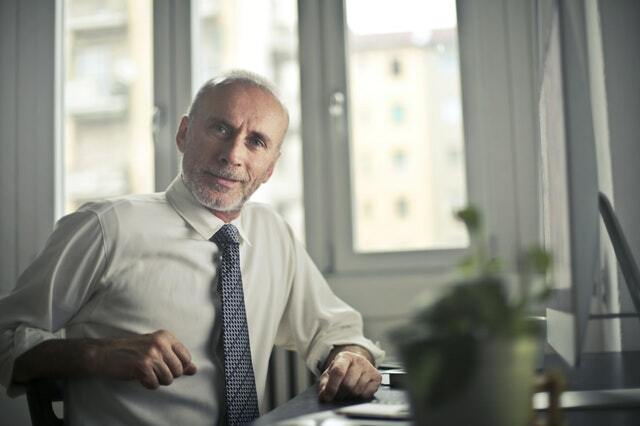 Many people lose their dental insurance after a few years even if it is part of their retirement plan and AARP and other insurances provide minimal coverage. Replacing any old dental restorations that put your teeth at risk with the best materials and treatment available now. Protecting your financial future from expensive dental problems. Preventing emergencies and dental issues when you are older and may not be as healthy and strong as you are now. Providing new or replacement dentures that will set you up well for a long time. Splitting treatment over a few years to maximize your insurance coverage when we are given enough time to plan ahead. Replacing missing teeth to minimize stress on your other teeth and improve your chewing function. Our goal will be to make sure your teeth are in great shape while you have the best resources available. We are not talking about doing work that is not needed and for most people the treatment recommended is covered by insurance. Unfortunately, we have seen too many retired seniors struggle with dental problems and how to pay for them. Our goal is to help ensure that doesn't happen to you. Sensitive teeth can disrupt your life and keep you from enjoying your favorite foods and drinks. Some people even take over the counter pain medications on a regular basis to feel more comfortable, but you don't need to suffer or be on medication. The following tips can help you prevent and minimize tooth sensitivity. Could You Be at Risk for Gum Disease? Periodontal disease, also known as gum disease, is a bacterial infection that eats away at the bone and tissue in your mouth. The bacteria can spread throughout your body when you swallow putting you at risk for a number of medical concerns. Gum disease can be dangerous for your teeth and your health. You can have gum disease and not know it, but common signs to look out for are: bleeding, red or swollen gums, bad breath, or teeth that are moving or feeling loose. If you have any of these symptoms, see a dentist right away. You have the ability to reduce some of these risk factors and we encourage you to do what you can. It will help you keep both your teeth and your health. And, give us a call if you are due or overdue for a dental appointment. Do Your Teeth Look Short or Worn Down? Excessive wear on your teeth can cause them to wear down, break, and develop ragged edges. This is not just a cosmetic issue as the wear can expose the nerves of your teeth or put them at risk for a severe break or toothache. Sometimes, really short teeth can not be saved because they are too small. The good news is that your dentist can not only shore up and restore your short teeth so they are stronger, but will likely improve the appearance of your smile at the same time. Damage Risks: Habits like clenching your teeth, holding things in your mouth, or using your teeth as tools put them at risk. Mouth jewelry and ill fitting appliances can cause trouble as well. Teeth Grinding: Stress may cause you to clench or grind your teeth, especially at night when the part of your brain that would normally control this impulse is asleep. Night grinding, also known as bruxism, is one of the most common causes of tooth wear. 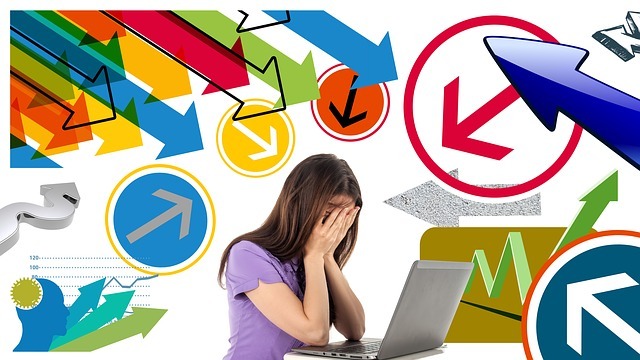 Finding healthy ways to diminish or process stress can protect your teeth. Your dentist may also recommend a nightguard appliance to prevent unnecessary wear and tear. Misaligned Teeth: When teeth are crooked or out of alignment they can throw off your bite and cause teeth to come together in ways that cause more damage. This can also be a concern for the joint in your jaw and cause TMJ problems. Your dentist can check your bite and make recommendations if this is putting your teeth at risk. We understand that your thoughts are filled with holidays now and dentistry may be the last thing on your mind. 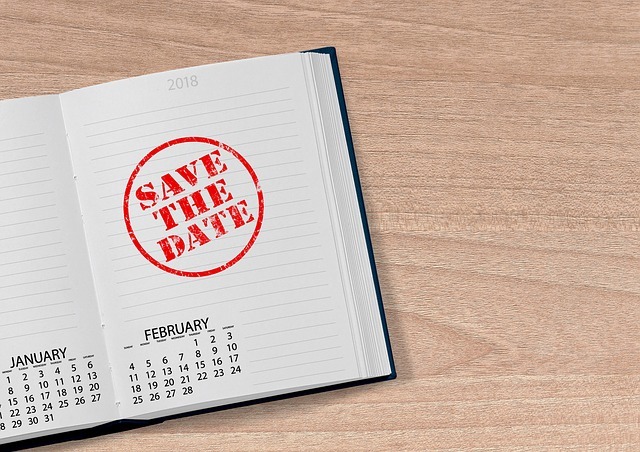 What you may not know though, is that sometimes we get a little busy in January and it is good idea to book appointments ahead in order to get your best times. Why is that? January is a great time to make a new commitment to your dental health and get your family's appointments on the books. Your oral health is an important part of any resolutions you have to become more healthy and we are happy to help. We encourage you to take advantage of your 2019 benefits right away for any unfinished treatment that may put your teeth at risk. Waiting only increases the chance of something going wrong. If you are ready to get things started, give us a call. (714) 779-5000 We promise to take excellent care of you. 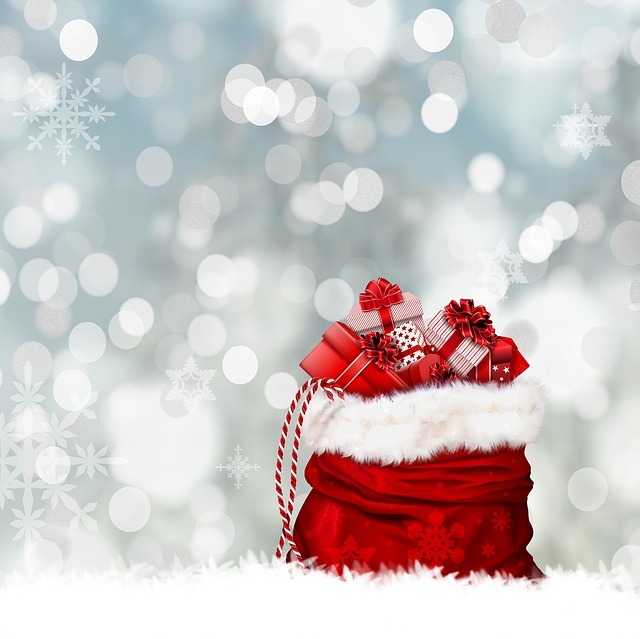 Many holiday gifts are quickly forgotten, but when you give a gift of health, it just keeps on giving. There are a lot of simple ways that you can support the people you love in having healthy happy teeth. For Kids: Start with stocking stuffers. Colorful toothbrushes, floss, dental coloring and activity books, and funny fake teeth are all great reminders that help kids remember to take care of their teeth. For Seniors: Many seniors struggle to pay their dental bills or afford treatment. Paying off a balance owed or buying a gift certificate for dental care can relieve their financial stress even as they enjoy healthier smiles. The seniors in your life may also benefit from the tools mentioned below to make it easier for them to take care of their teeth at home. Their dental office will be happy to let you know what they need. For Just about Anyone: Professional electric toothbrushes and oral irrigators help people care for their teeth, while gift certificates for teeth whitening or professional teeth cleaning can make them smile and feel more confident. Dental Plaque - It's Alive! Dental plaque is a sticky biofilm formed by bacteria that are living in your mouth. When you look at it under a microscope, you can see different kinds of organisms swimming around. It's not just a film on your teeth. It's alive! In an unhealthy mouth, there will be a larger number of organisms and a higher level of activity. You may also see red or white blood cells, which can be signs of infection. Your daily brushing and flossing is the first line of defense in removing biofilm and limiting the ability of bacteria to grow and build colonies in your mouth. Your dental hygienist will professionally clean the areas you can't reach and remove plaque along with it's calcified form, tartar. Next time you want to skip brushing and flossing or visiting the hygienist, just think of all those little germy guys swimming around in your mouth. They can impact both your dental and overall health and you have the power to keep them in control. Taking care of your oral health is a wise investment because dental problems left unattended to usually get worse and become more complex and expensive. We encourage all of our patients to stay on top of their dental needs to the best of their ability and then focus on preventing problems in the future. For most of our patients, dental insurance and flex plans help them make their dental care more affordable. Most of these plans have yearly allotments for how much they will pay. Generally, if you do not use the benefits available in any given year the money that was available goes away forever. For this reason, it is important to take stock of your dental needs and benefits available as we move toward the end of the year. This is especially important if you have existing treatment recommendations, haven't been to the dentist in a while, or are prone to dental problems. You paid for your benefits in some way even when they seem to be provided by your employer for free. 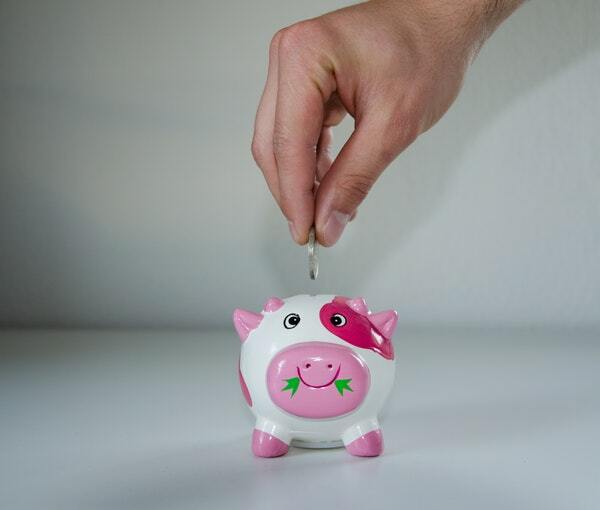 Your benefit package is a part of your salary. Don't let it go to waste. 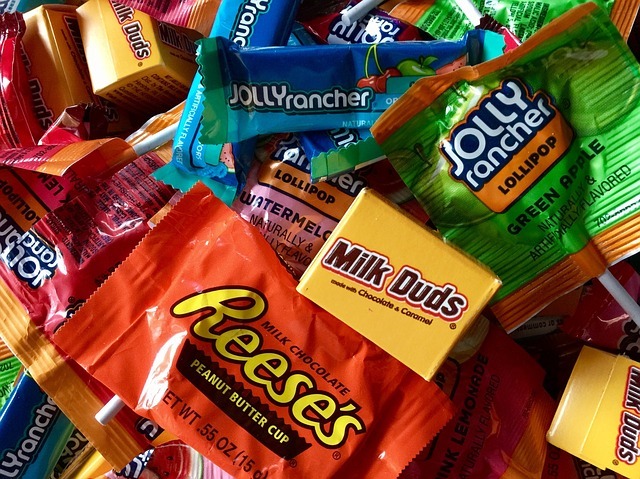 Celebrating Halloween usually involves bags of candy that kids can feed on for days. This means that their teeth are being constantly exposed to sugar, which is not good for their teeth or their health. Most kids are happy to go along with these ideas as long as the incentives are things they value more than candy. We hope that you and your little ones have a great Halloween and stay healthy at the same time. 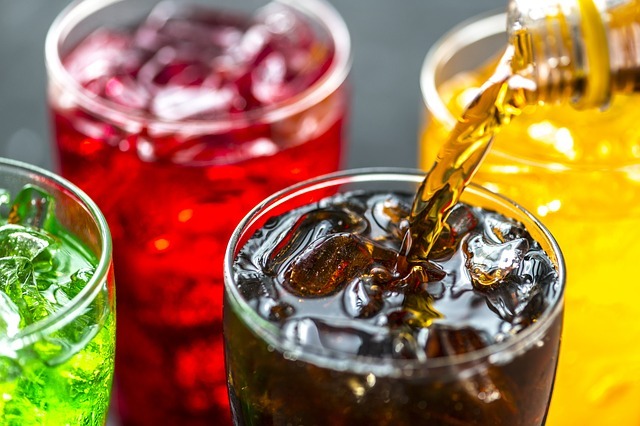 We have always known that sodas and sugary sports drinks were not good for your teeth, but a recent Prevention Magazine article reminded us just how dangerous they are. Depression: The American Academy of Neurology says that you are 30% more likely to be depressed if you drink 4 or more cans of soda a day. Kidney Problems: A Harvard Medical School study says that drinking soda daily can double your risk of impaired kidney function. Stroke and Heart Attack: Your risk level of these life threatening issues increases 40% if you drink more then one soda a day. Metabolic Syndrome: This is a group of health risks like high cholesterol and excess belly fat that can lead to life threatening diseases. Protect your teeth and your health by reducing soda and sugary drinks. Getting dentures does not mean you no longer need to take care of your oral health. Your new dentures and the inside of your mouth still need special care. The following guidelines will keep your mouth healthy and help your dentures last a long time. Protect Your Dentures: Place a folded towel in the bathroom sink when you remove your dentures to protect them from damage if they are dropped. Keep Them Clean: It is important to brush your dentures daily to prevent plaque, stains, and bacteria buildup. Use a soft bristled toothbrush and clean gently to prevent damage. Do not use toothpaste as it is too abrasive, gentle hand soaps or dish soaps are usually good options. You may also consider getting an ultrasonic cleaner that uses sound waves to clean as an addition to your brushing routine. Prevent Damage: Always choose gentle, non-abrasive products. Never put your dentures in hot water, they can be stored in cold water when you are not wearing them. Avoid colored mouthwashes or other products that might stain the teeth and bleach that can lighten the color of the gums. Keep Your Mouth Healthy: Brush your gums and all of the other areas of your mouth every morning before putting your dentures in. While you can't do much about age and gender, the importance of taking care of your overall health as well as your teeth is clear. Brushing twice and flossing once only take about 5 minutes a day. And when you see the dentist and hygienist at recommended intervals, your appointments will be easier and you won't be as likely to get bad news. If you have not been to the dentist in a while, we encourage you to come in now. We promise not to judge you and would love to help you take control of your dental health and experience how great it feels to have a healthy smile. Dry or Burning Mouth - decreased saliva can lead to an uncomfortable feeling of dryness or burning that can also alter taste. With less saliva to keep the teeth rinsed clean many women become more likely to get cavities. Receding Gums - hormone changes can also make gums more vulnerable resulting in gum recession. When they recede, new areas of the teeth are exposed to cavity causing bacteria. Because gum line cavities happen where teeth are narrow and the nerve is close by, there is a higher risk of pain and/or tooth loss. Periodontal Disease - reduced hormone levels increase the risk of inflammation and gum disease. Periodontal disease is an infection that gets into the blood stream easily and research has linked it to multiple serious medical conditions. Bone Loss - osteoporosis can put teeth at risk the same way it does bones throughout the body. Teeth are held in place by bone and when it is diminished they no longer have the support they need to stay in place. If you are experiencing midlife hormone changes, it is even more important to stay current with all recommended dental visits, including exams and professional cleanings. Your teeth and health may depend on it. 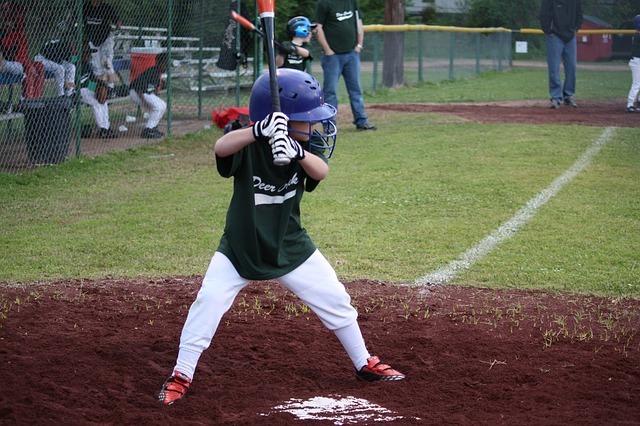 ​We are a nation that loves sports and for many of us that means playing ourselves or enrolling our kids in athletics. The question is, are we protecting our teeth? Sports mouth guards for adults and children help protect the teeth and mouth from injury due to impact. Professional athletes wear them and so should you and your kids. There are three types of sports guards. You can buy inexpensive one size fits all ones, but they are unlikely to fit well and are made out of soft material that is not very protective. Boil and shape guards may fit better, but the material is still not very strong. In our office, we provide professional level mouth guards for kids and adults who play sports. They are made at a lab so that we can use the strongest materials available and provide the best fit. And, you will be surprised how affordable they are. Having comfortable and effective mouth guards, will help you and your children play safely and with more confidence. Most of us think saliva can be gross, like spit or dog drool, but the truth is that it is very beneficial for our teeth and health. Saliva is always present in your mouth unless you have a medical condition or take medication that limits it's production. It even increases when you smell or think about food. Over a lifetime you are likely to produce over 10,000 gallons of this liquid gold, enough to fill a couple of swimming pools. Now, that is a lot of spit. So, let's celebrate the drool! Saliva is really cool. If you are expecting a baby, you are probably already doing a lot to keep you and your little one healthy, but did you know that taking care of your teeth and mouth are important too? Pregnancy hormones can make you more susceptible to gingivitis, which is an early stage of periodontal gum disease. This bacterial infection can put your teeth, health, and baby at risk. 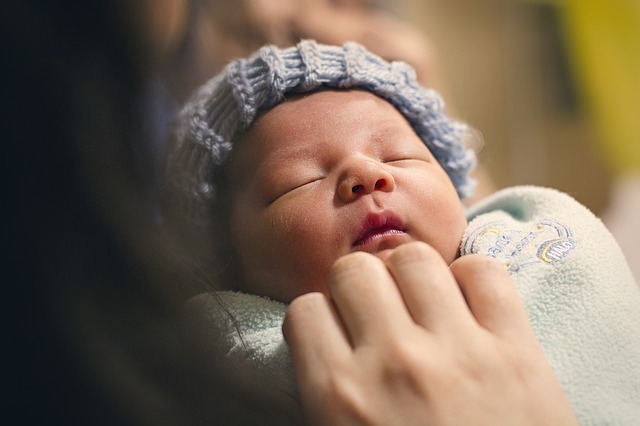 Gingivitis and gum disease have been linked to both pre-term and low birth weight babies, something we all want to avoid. If it has been over 6 months since your last dental exam and cleaning, call and schedule one right away. Brush and clean between your teeth daily. Call your dentist if you have tender, sore, or bleeding gums, which may indicate gum disease. If you are vomiting, rinse your mouth afterwards to wash away acids that can damage your teeth. Eat a healthy diet and follow all recommendations by your doctor and dentist. Taking care of your oral health is an important step in helping your baby have a healthy start in life. We know how important that is to you and would love to support you during this special time. We are in Anaheim Hills, CA and you can reach us at (714) 779-5000. Cracked Tooth or Filling - cracks that reach the area around the nerve of your tooth can be painful, especially when you bite down and the crack separates. 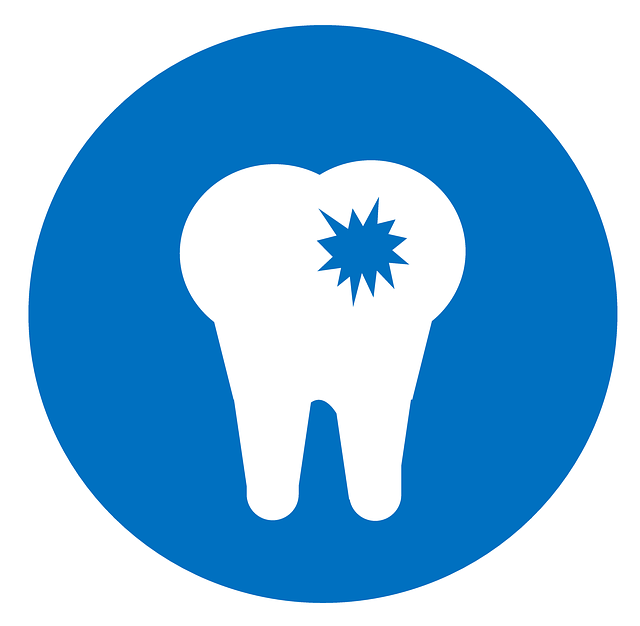 Nerve Damage - trauma to the tooth and sometimes unknown causes can damage your tooth's nerve. If you have pain after dental treatment, the root was probably already on edge and ready to cause problems. Recession and Wear - as your gums recede, new areas of your teeth along the gum line are exposed. These areas are often sensitive as this is where your tooth is thin and the nerve is near by. Gum Disease and Other Infections - with these conditions your gums are likely to be red and inflamed, making them very uncomfortable. Gum recession and exposed nerves can also be symptoms of periodontal gum disease and other oral infections. Teeth Grinding - Bruxism (teeth grinding) can create pressure and irritate the nerves of your teeth. You are most likely to grind your teeth at night while sleeping. The sensitivity can be in just one area or spread over several teeth in different areas of your mouth. We can help you find out what is causing your discomfort and provide solutions for whatever is going on. Give us a call at (714) 770-5000. Gum disease is an infection in your mouth and just like any infection in your body, it is important to get it treated. Without treatment not only your teeth, but your health can be at risk. While gum disease, also known as periodontal disease, is known for being the number one cause of tooth loss, any infection in your mouth can also get into your bloodstream easily. If you have these symptoms, it is important to see your dentist to help you stay infection free. And, don't forget - brushing, flossing, and professional checkups and cleanings are all important in preventing gum disease and other dental problems. Kids Get More Cavities Than Adults - now that we have fluoridated water and can seal out decay on children's teeth, many kids are growing up cavity free. Older adults are more at risk due to health issues, medications, gum recession, and their ability or willingness to properly care for their teeth. 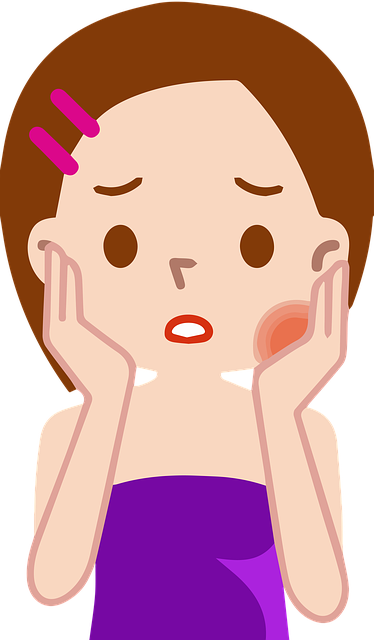 If Your Tooth is Sensitive, You Have a Cavity - there are many different causes of tooth sensitivity and yes, cavities are one of them. Other potential causative factors include receding gums that expose new sensitive areas of teeth and tooth grinding that irritates the nerves. You Will Know if You Have a Cavity - cavities don't usually hurt unless they are getting close to the tooth's nerve. There may be times when patients notice a rough spot or hole in their tooth, but for the most part dentists are the first to know when it comes to tooth decay. Brushing, flossing, regular dental check ups and professional cleanings are all important steps in preventing cavities that put your teeth at risk. By taking care of your teeth you can prevent cavities and catch issues early while they are simple and less expensive to treat. 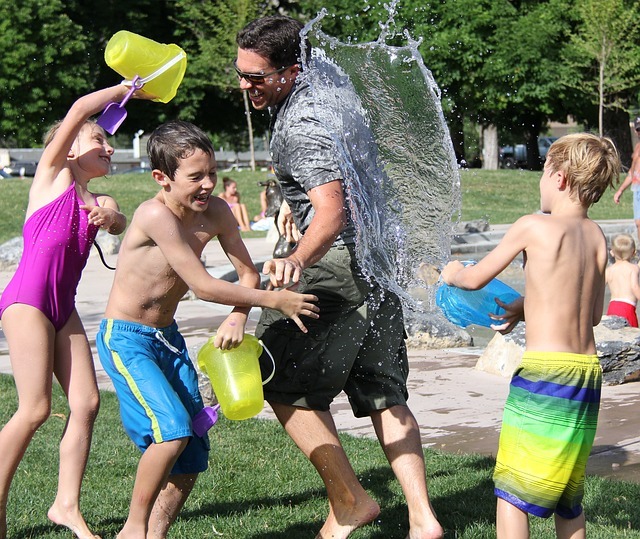 Beware Pool and Water Park Chlorine - The same pool chemicals that keep the water clean can be dangerous to your teeth, especially when out of balance. Too much acidity can wear away your tooth enamel. If you have your own pool, check the PH balance before jumping in to make sure it is at the recommended level. Rinsing your mouth after swimming can limit the impact on your smile and don't brush your teeth the first hour after being in the pool as the enamel on your teeth will be more vulnerable. Your Lips Need Sunscreen Too - Dermatologists recommend using a lip balm with SPF 30 or higher. The skin on your lips is thin and delicate and needs extra protection. Limit Dangerous Drinks - It is easy to crave sodas and sports drinks when it is hot outside. 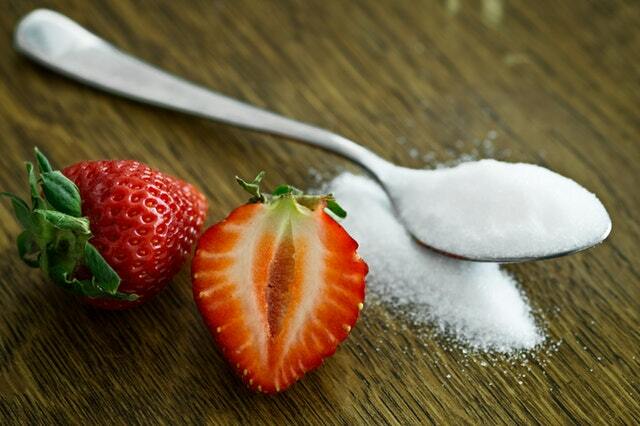 They may be great thirst quenchers, but the high sugar and acid content are not good for your teeth or your body. If you are not ready to give them up completely, rinsing your mouth with water afterward can help protect your teeth. Diabetes: People with diabetes are more likely to develop infections like periodontal disease that can be hazardous to both your teeth and health. At the same time, gum disease can create a higher risk of complications for diabetics. If you are diabetic or pre-diabetic it is especially important for you to take care of your oral health. Coffee, Tea, and Red Wine: You are probably already aware that these beverages can stain your teeth, but did you know that their acidity can put your tooth enamel at risk? Rinsing your teeth with water after drinking or adding alkaline drops to your morning coffee can help protect your teeth. Teeth Grinding: If you wake up with morning headaches, a sore jaw, or have teeth that are getting shorter and irregular looking, it is possible that you are grinding your teeth. Most of the damage happens while you are sleeping and we can help you protect your teeth so that they stay strong. Pregnancy: Women who are pregnant experience hormone changes that put them at a higher risk of periodontal gum disease. Taking care of your teeth and seeing your dentist regularly are critical because gum disease is linked to pre-term birth and low birth weight babies. Dry Mouth: When your mouth is chronically dry you are more prone to cavities. Prescription medications and hormone changes as you mature are common causes. If you are experiencing a chronically dry mouth, we encourage you to let us know so that we can help you protect your teeth. Recent research has linked stress to periodontal disease, an infection of the gums that is also called gum disease, gingivitis, and periodontitis. This condition is the number one cause of tooth loss and can also put your overall health at risk. No one is sure how stress contributes to gum disease, but doctors believe that it probably lowers the ability of your immune system to fight off the infection causing bacteria. Symptoms to look out for include irritated or bleeding gums, bad breath, loose teeth, or gums that are receding. Stress also puts your teeth at risk when it causes you to clench or grind your teeth (bruxism). This happens most often while you are sleeping and the pressure on your teeth, joints, and surrounding tissue can be extreme. Signs that you are night grinding include waking up with a headache or sore jaw, or teeth that are broken, short, damaged or worn. We have many ways of helping you have the smile of your dreams. Bonding, teeth whitening, crowns, and more. But, one of our favorites is porcelain veneers. Veneers are thin layers of porcelain laminate that are bonded to teeth with dental adhesive. They are a great solution when you want to change the color of your teeth, repair chips, gaps, and spaces, or lengthen teeth that have become short. They Look Great - Veneers have a beautiful, luminescent quality and are one of the most natural looking tooth restorations available. They are Stain Resistant - Natural teeth can absorb stains or become darker as we mature, but veneers stay the same color throughout their lifetime. They Preserve Your Natural Tooth - Porcelain veneers require very little preparation, unless we are making a major change in the shape of the teeth. They are one of the most conservative cosmetic options available. They Make Our Patients Happy - We love the look on our patient's faces when they see their new smiles for the first time. Sometimes they even shed tears of joy. What could be better than that? If you have been dreaming of a new smile, we would love to help. Call (714) 779-5000 to schedule your consultation now! We know that you don't like cavities or having to come to us for treatment that could have been prevented. While some factors may not be in your control there are several things you can do to help your teeth (and your children's teeth) stay safe from cavities. Floss daily and brush twice a day for at least two minutes. When you can't brush after a snack or meal, chew sugarless gum with xylitol to clean your teeth. Avoid sweet and sticky foods like gummy bears. They are the enemy. If you have GERD or heartburn, get treatment. The acid can damage your tooth enamel. Get dental check ups and professional teeth cleanings at recommended intervals. Stop drinking soda. It causes cavities by eating away at the enamel of your teeth. Watch out for hidden sugars in medicines and lozenges. Consider sealants for your children's teeth to give them a coat of protection. Keep your mouth moist. A dry mouth makes you more susceptible to cavities. Eat crispy fruits and vegetables to help clean your teeth and provide healthy nutrition. 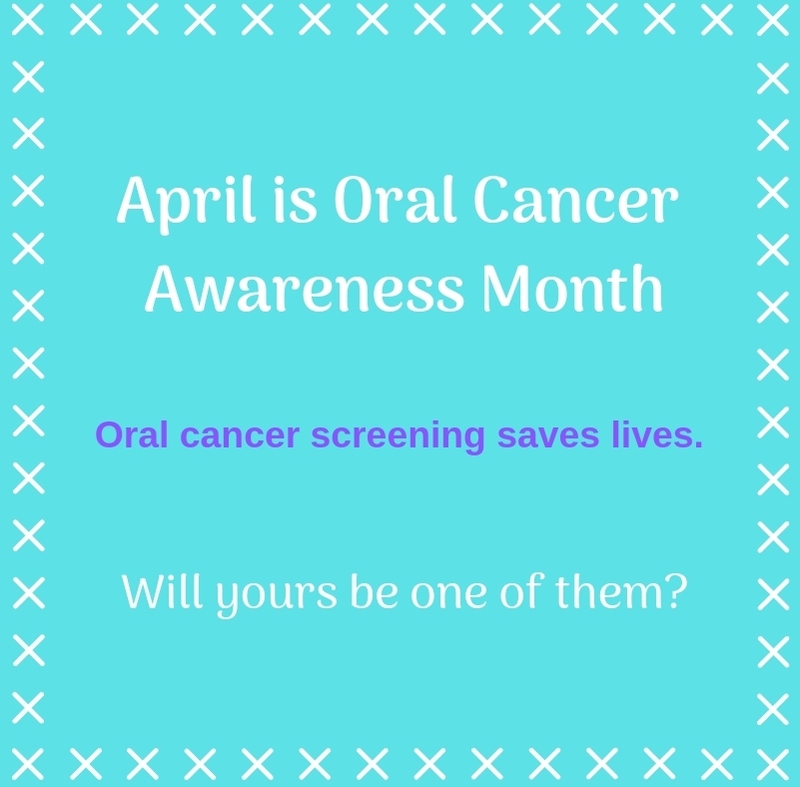 Early detection is vitally important when it comes to oral cancer. If not caught early it has a very high mortality rate and often results in disfiguring surgeries. Our goal is to help you prevent these drastic consequences through education and regular oral cancer screenings. 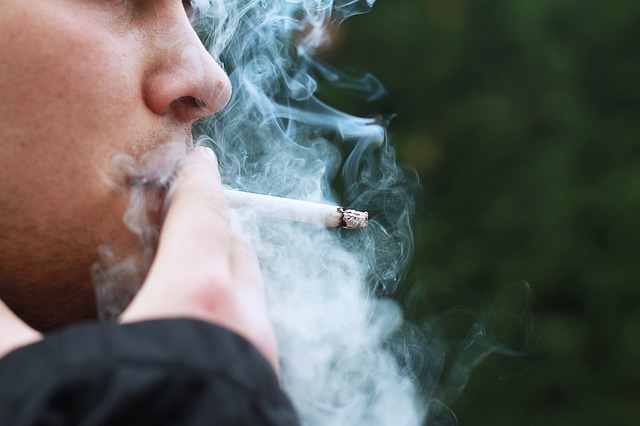 When you think about oral cancer, the first thing that probably comes to mind is tobacco. It is true that smoking and chewing tobacco are primary causes of this disease, but there are other causes you need to be aware of. Chronic irritations from rough teeth, dental appliances, and even GERD or acid reflux can set you or the ones you love up for oral cancer. The HPV virus and heavy alcohol use have also been show to put you at risk. And, some medications can contribute by changing your mouth environment or diminishing the effectiveness of your immune system. We take oral cancer seriously and routine screenings are a routine part of our patients' care. If you have any questions or concerns, be sure to let us know. We can work together to keep you free of this deadly disease. Link it to another positive habit: Experts say that the easiest ways to adopt new habits is to connect them to existing ones. Brushing your teeth or showering make great cues. When you do one, simply follow with flossing. After a while it becomes natural and happens without even thinking about it. Give yourself a visual trigger: Keep the floss next to your toothbrush. Tie them together if you need to. 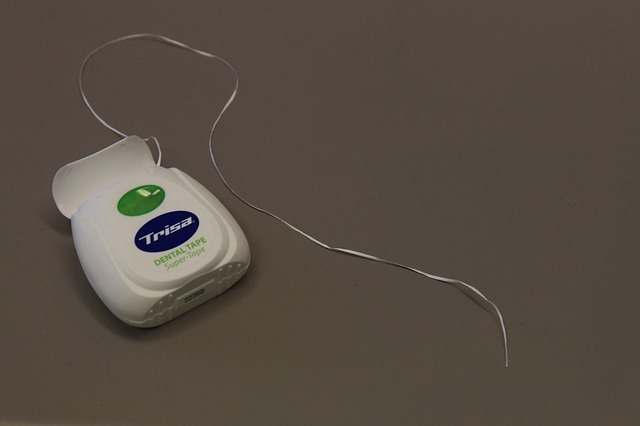 Seeing them together or leaving the floss out where it is visible will remind you to use it. Start with just one tooth: Another proven way to create a new habit is to start with the simplest step possible. Make a commitment to floss one tooth a day. The next week, up level to flossing two, and so on. Pretty soon you will find yourself habitually flossing all of your teeth daily. Consider flossing in the shower: We are not sure why, but this works for many people. It is also very practical.There is no clean up, rinsing your mouth is easy, and stepping in the shower makes an excellent cue. Whatever works for you, we encourage you to make flossing a daily habit. You will save time, money, and inconvenience, with this simple step that only takes one minute a day. 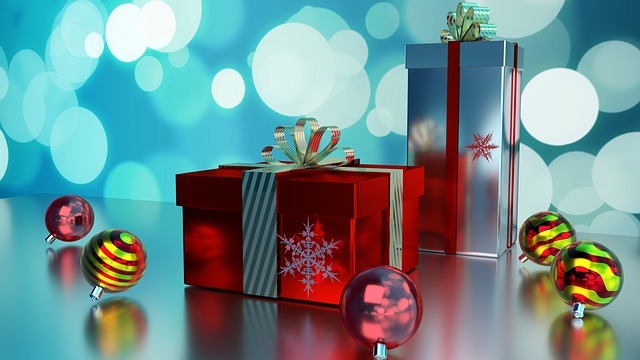 Many of the Christmas gifts you buy will be set aside or even forgotten in a short period of time. So, why not give a gift that continues to provide long term benefits? We have some ideas for you that will help your friends and family enjoy the ongoing gift of oral health and a beautiful smile. We hope these ideas help you with your holiday shopping and that you have a happy and healthy holiday season. ​Many people believe that chewing and other smokeless forms of tobacco are safer than smoking, but it is not true. There is no safe form of tobacco and all types of tobacco are highly addictive. People who chew tobacco are putting themselves at risk for pancreatic, esophageal, and oral cancer, which all have low survival rates. Mouth and neck cancer treatments can be very disfiguring and impact one's ability to speak and chew. They can alter how people see you forever. 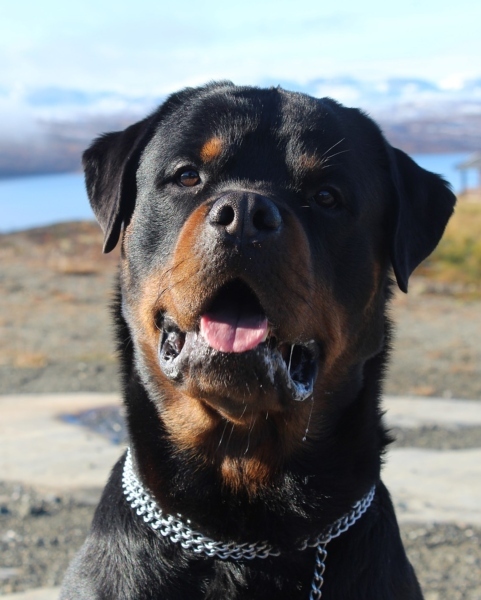 At a minimum, chewers are very likely to develop periodontal disease and lose teeth. 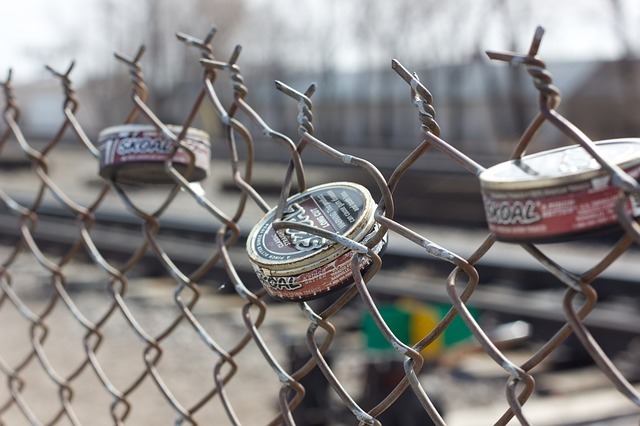 If you or someone you know would is ready to stop using smokeless tobacco, the following resources can help. Don't wait! Quitting tobacco today just might save your life. Most of our patients with healthy teeth and gums only need to come in every 6 months for their professional cleanings. Keep in mind though, that everyone is unique and if we recommend you come in more often there is usually an important reason to do so. If you have diabetes or heart disease we will need to monitor you carefully and possibly see your more often. Your risk of dental disease including infections like periodontal gum disease will be much higher. There is also a possibility that any infection or inflammation in your mouth may impact your overall health, including your blood sugar levels. Habits like smoking or chewing tobacco put you at risk for gum disease and oral cancer. You will be more likely to lose teeth or develop serious dental problems than our other patients and we may suggest that you come in to see us more often. Periodontal disease never goes away completely. It is a chronic condition and if you have been diagnosed with it we will usually ask you to come in at shorter intervals. When you do not brush and floss regularly or are unable to take proper care of your teeth due to a disability we will want to help you keep your teeth clean and prevent disease with more frequent professional cleanings. Please keep in mind that we evaluate each of our patients on an individual basis and customize treatment to your specific needs. If you have any questions or concerns, please let us know. It is important to us that you understand our recommendations. Your toothbrush is exposed to a lot of bacteria, viruses, and other germy stuff, and not just the ones from your own mouth. If it is stored openly on the counter it is vulnerable to toilet spray, splashes, and aerosols from products you and your family use. 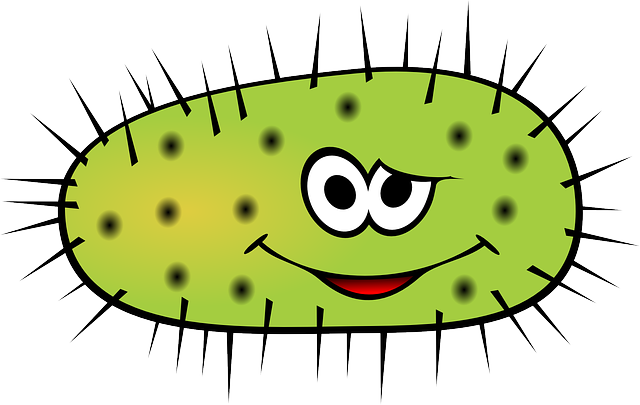 Bacteria love to grow in damp dark places so covering it is not necessarily the best solution. The good news is that we have some solutions for you.They are especially important if you have someone in your family who is ill, going through chemotherapy, or has a compromised immune system. 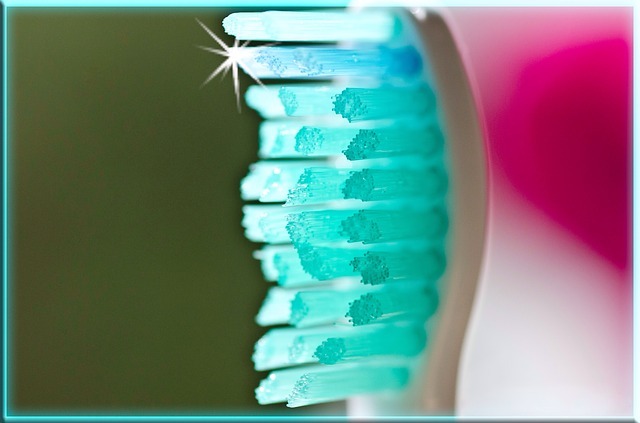 Disinfect toothbrushes by soaking them in peroxide or anti-microbial mouthwash for 15-20 seconds. Ask all of your family members to put down the toilet lid when they flush. Store toothbrushes in a way that they are not touching each other, especially if someone has been sick or has gum disease. Keep your toothbrush in a cabinet. Clean and disinfect your bathroom surfaces regularly. Taking care of your toothbrush can protect your health and keep your smile healthy. ​Now is a great time to get the smile you have always wanted! 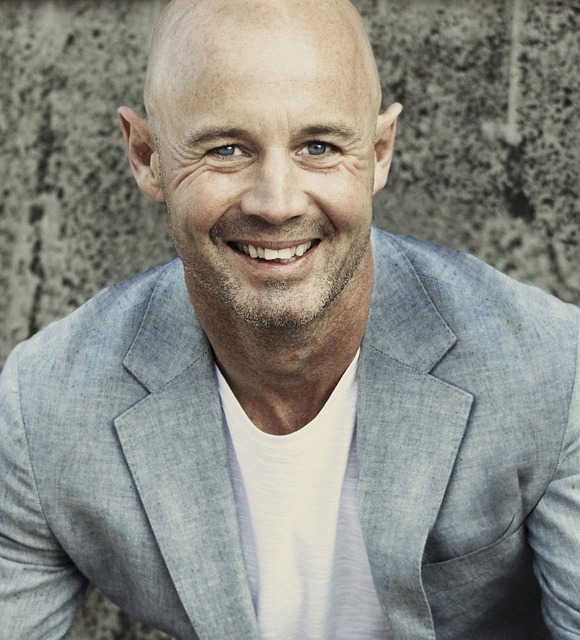 Cosmetic dentistry is not just about having nice looking teeth. It can also improve your confidence and open doors to more successful social and professional opportunities. Whether you need a quick touch up, whitening, or want something more involved, we can help you feel confident as you go to holiday parties and smile for holiday pictures. We would love to help you get that beautiful confident smile you have always dreamed of. Call (714) 779-5000 to schedule a consultation today. With thousands of brush strokes per minute, professional level electric toothbrushes can do a better job than manual brushing. They are designed to provide the ideal pressure and number of strokes per minute that will clean teeth, disrupt bacteria, and preserve your gum tissue. This can help you avoid dental problems like cavities and gum disease, as well as save you money in the long run. Children do really well with power brushes and often feel more motivated by the fun colors and characters on them, as well as any bells and whistles that are included. We especially like ones with two minute timers or music to help ensure your kids brush long enough to really get their teeth clean. Power brushes can also make a big difference in the lives of people with disabilities, seniors, or anyone who has difficulty handling a toothbrush. Do You Need to Check with Your Doctor Before Dental Treatment? ​People with heart conditions or joint replacement may need to take antibiotics (pre-medicate) before certain types of dental treatment. The reason for this is that bacteria in the mouth can get into the blood stream easily and travel to the heart, putting some patients at risk. Recommendations have change in recent years and many people who used to take antibiotics before dental visits no longer need to. It is important to check with your doctor to be sure of their recommendations for you. 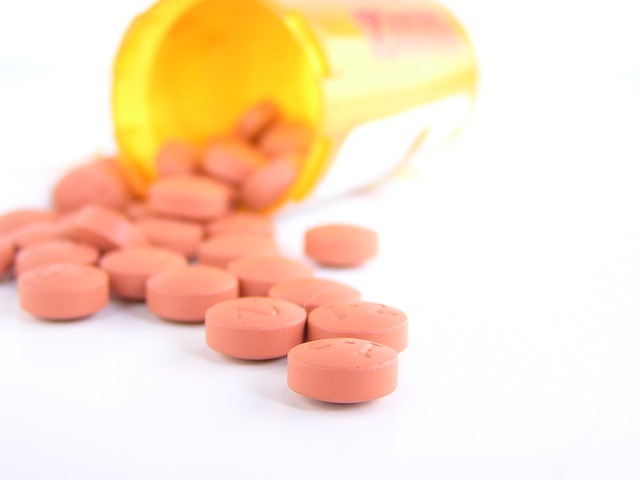 Patients who take blood thinners may need to go off their medications or change the dosages before dental treatment to prevent excessive bleeding. Everyone is unique and if there is any question about your health, medications, and how they relate to dental treatment it is important that we talk to your doctor. Please let us know if you think your health or medications may require special planning before having dental treatment so that we can provide you with the safest and most pleasant experience possible. Summers are full of fun and can seem care free, but there are some special dangers for your smile that come with the season. We have a couple of tips for you that will help your smile stay happy all summer long. Use Lip Balm with SPF 15 or More: While you are playing in the sun your lips are being exposed to dangerous, cancer causing rays. Your lips can be especially vulnerable because the skin on them is thinner than on other areas of your body. It is also likely that they are being exposed to the suns harmful rays throughout the year, including winter. So, protect your smile with SPF lip balm and apply it regularly so it doesn't wear off. Your lips will thank you. Rinse Your Mouth after Swimming in a Chlorinated Pool: Chlorinated water is highly acidic and can be dangerous for your teeth, especially if you notice it is strong or your eyes burn when under water. The acid eats away at the enamel of your teeth and over time can make them thin, weak, and even dark colored. The fix is easy, simply rinse your teeth throughout the day between dips in the pool. This will limit the amount of exposure your teeth experience and help keep them healthy and strong. We all want our children to experience the benefits of good dental health, but kids are not always excited about being told to brush and floss. The good news is that there are other ways to motivate them. The first step is to be a good role model. When your children see you taking care of your teeth they naturally want to do the same. Creating a routine of brushing your teeth with them is even more motivating and allows you to monitor how well they are doing at the same time. 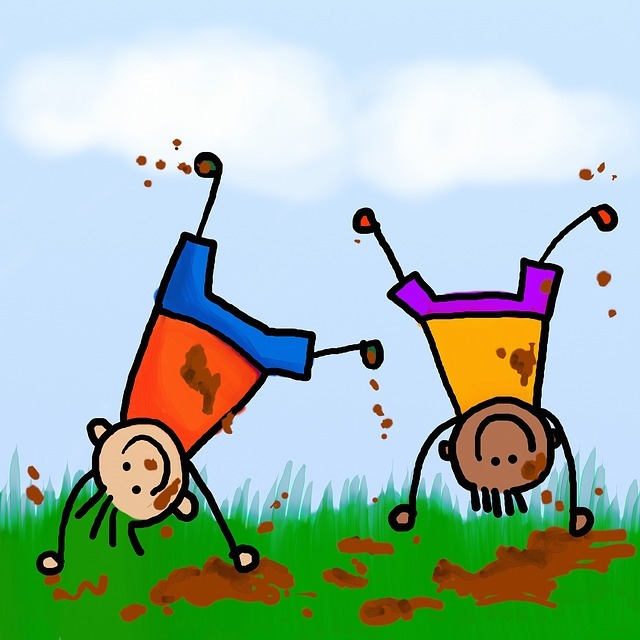 Children respond well to being given choices instead of being told what to do. Let them choose their cool new toothbrush, music to play, or whether they want to brush or floss first. They will feel more empowered and will be more likely to do a good job. Motivating kids can be fun. 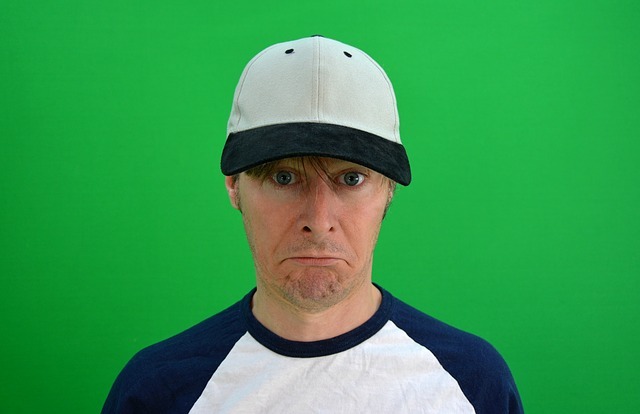 There are a number of videos and 2 minute brushing songs available online. You can leave them little notes from the tooth fairy or their favorite cartoon character, or you can create a rewards chart with gold stars or points that lead to a prize. And lastly, let us help you. Most kids love coming to our dental office and feel more excited about taking care of their teeth after their visit. When children see their dentist and hygienist regularly, they learn to not be afraid of dental care and that taking care of their teeth is a good thing. Losing a tooth or multiple teeth can feel scary, but it's great to know your teeth can be replaced in a way that looks, feels, and functions naturally. In many situations dental implants are the treatment of choice. They have a proven record of success and can offer benefits that other tooth replacement options cannot. Implants are titanium roots that are implanted in your jaw. Over time they fuse with the jaw bone and in almost all cases are considered permanent. They can be used to replace just one or a full mouth of teeth. They will support the teeth next to them and return balance to your overall bite. Professional strength products are safe and generally work faster. You will have the support of your dental team if a challenge or question comes up. A pre-whitening smile evaluation by your dentist can help you avoid a mismatched smile. Existing dental work, traumatized teeth, some stains and spots and teeth with root canals, may not respond to whitening products. Your dentist can help you customize your whitening process or provide additional cosmetic services that help you get the smile you really want. Replacing missing teeth is a priority as the open space that remains can set up a domino effect that endangers other teeth in your mouth. While we have many great options for giving you your teeth back including dental bridges, partials, and dentures, the more recent technology of dental implants has given us a choice that in many ways outshines them all. If you would like to take advantage of these benefits of dental implants, we would love to help. 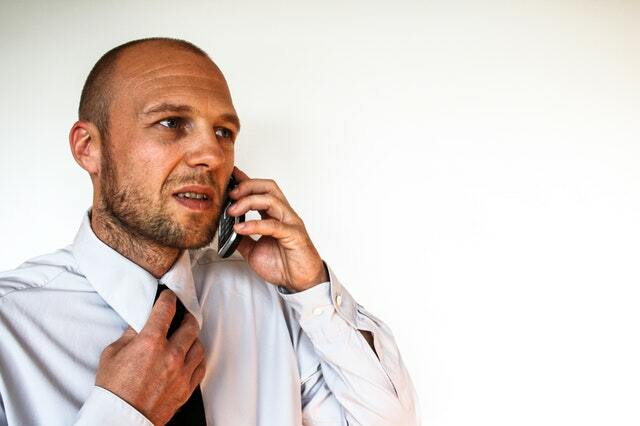 You can call to set up a consultation at: (714) 779-5000. There are a lot of options for whitening your teeth, including special toothpastes or products you buy at the drug store. Not all off them are effective though. Even worse, trying to whiten your teeth without a dentist evaluating your smile could cause new problems. What a lot of people don't realize is that teeth whitening does not always work everywhere. If you have prior dental work, spots, grey tones, or other unusual things in your smile, your whitening process could make some teeth whiter than others. Before we recommend teeth whitening we check your teeth for these risks. You will be informed of what to expect and guided through the process. You may want our support in customized whitening or choose to go all out and then have some cosmetic updates to the parts of your smile that didn't brighten. We will listen to what you want and help make it happen for you. With our professional strength whitening products and expertise, we know we can help you achieve the smile you always dreamed of. Periodontal gum disease is dangerous for both your teeth and health. It is a bacterial infection that leads to tooth loss and can get into your blood stream easily. Gum disease and the chronic inflammation it causes have been linked to many serious health conditions. Seeing your dentist and hygienist at the recommended intervals is your best opportunity to prevent or minimize the impact of this disease on your teeth and health. This is even more critical if you have already been diagnosed with periodontal disease. If you have missed an appointment or are behind in your dental visits, call soon to get back on track to taking care of your teeth and health. Sensitive teeth may not hurt as much as a toothache, but they tend to bother you over a longer period of time. The most common triggers are pressure or hot and cold temperatures. If the discomfort is occasional and mild, you might try a toothpaste designed for sensitive teeth to see if that helps. Otherwise, a visit to the dentist is the way to go. The first thing we do is rule out any underlying issues involving cavities, infections, or damaged nerves in the teeth. If we find something, resolving it will also help the sensitivity. Sometimes, we find areas where the nerves of the teeth are more exposed or have lost their insulation and protection due to gum erosion or other dental problems. In many cases, this is something that can be fixed simply and quickly so that you can be comfortable again. The other most common cause of tooth sensitivity is clenching or grinding your teeth at night. This sets your neves on edge and makes them more reactive. A common solution for this is a simple nightguard appliance that re-balances the pressure and prevents you from grinding while you sleep. There are steps you can take to ensure that your next dental visit goes smoothly, especially if you are going to a new dentist. Let us know if you have any medical condition that requires pre-medication or going off certain medications before treatment. Make sure you have your insurance or other benefit information with you when you come if it is new or you are new to the office. Periodontal disease is also linked to other illnesses you will want to avoid, like heart disease, Alzheimer's, and cancer. It is believed that the chronic inflammation it causes can increase your risk of more serious health issues. We would love to be your partner in maintaining both your dental and physical health. You can schedule a consultation by calling (714) 779-5000. Helping your children learn the importance of caring for their teeth can lead to a lifetime of good oral health. When good dental habits are instilled at a young age kids are more likely to grow up with fewer dental problems, which can also mean avoiding financial and emotional stress in their later years. Children who value taking care of their teeth are also more likely to take care of their overall health. So, how do you help your children get on this path to health? Model it - When your little ones see you taking care of your teeth and health they are more likely to want to do the same. We even encourage you to brush and floss with your kids. It allows them to learn proper technique and you can monitor how well they are doing. Take them to the dentist - Visits are less scary for children when they are young and see it as an adventure. For their first visit they may have their teeth counted and polished, keeping it nice and fun. These preventive visits will also help them avoid any dental treatment that may be more traumatic. Start them young and bring them in every 6 months and chances are all of their dental visits can be fun. Seal their teeth - Sealants are a protective coating of resin that fills in the ridges in teeth that are prone to cavities. Many kids who have had their teeth sealed grow up without any cavities at all. The procedure is very simple and does not require any dental anesthetic. Make taking care of their teeth fun - Let your kids choose their own colorful toothbrushes. Consider timers or 2 minute songs that remind them to brush long enough. Reward systems that include something like gold stars or a treat when they have taken good care of their teeth also work well. Helping your children establish good dental habits is good for them and something you can feel proud of as you watch them grow up and appreciate good oral health through the years. Surgeons know that the bacteria in your mouth can get into your blood stream easily and often recommend you see your dentist before pre-planned surgeries. Even if they don't, it's a good idea. While your overall health and healing are important, your heart and joints are especially susceptible to problems caused by mouth bacteria. In rare cases they can be life threatening. It makes sense that you want to be as healthy as possible before major medical procedures. Your dentist can screen you for minor infections, gum or periodontal disease. These increase the dangerous bacteria you want to avoid. Treatment may take time so we encourage you to see the dentist as soon as you know about your surgery, or even better, do what you can to stay healthy and prevent these issues from coming up in the first place. Your dentist can also take steps to help prevent emergencies during your recovery time. Potential tooth problems that might flare up during your treatment can be fixed if there is enough time. After all, no one wants a tooth ache or broken tooth right after surgery. Seeing your dentist before major medical treatments like surgery can be an important step in supporting your health and a smooth recovery. It makes sense that when you want to clean something, scrubbing harder is the way to go. And, when it comes to your teeth, the hardest bristle toothbrushes should do the best job. Right? Not really. You might be surprised to learn that a soft brush and gentle touch are not only more effective, but healthier as well. Your teeth and gums can be damaged easily when you are too hard on them. Gum tissue is very delicate and some areas of your teeth can be softer, especially near where they meet the gums. Soft bristles on a toothbrush are more flexible and get into recessed areas well, even as they are nicer to your gums and tooth enamel. There is nothing hard about cleaning your teeth. Simple brush thoroughly and gently, to maintain your beautiful, healthy smile. This is the time of year when many of you will make a commitment to your health by setting goals for the New Year. We know that going to the dentist may not be at the top of your list, but would like to encourage you to put it there. Taking care of your gums and teeth is an important part of caring for your overall health. Bacteria in your mouth get into your blood stream easily and impact your body in many ways. Also, current medical research is pointing to chronic inflammation as a causative factor in many disabling and life threatening diseases. Periodontal gum disease is one of the common sources of this inflammation. Limit the impact that bacteria and inflammation from gum disease have on your mouth and body. Keep your teeth looking good, feeling good, and lasting a lifetime. 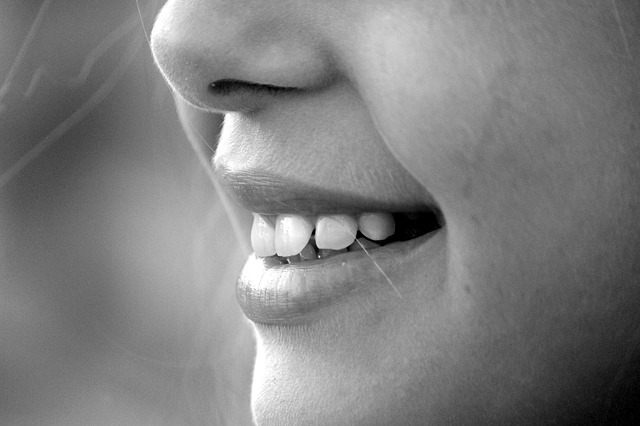 Enjoy fresh breath and a kissable smile. Help prevent health conditions linked to inflammation, like heart disease, diabetes, and cancer. Have a smile that looks great and improves your confidence. Feel proud of yourself for the way you are taking care of your health. Take control of any dental issues you have instead of letting them control you. We don't know why it happens, but there is almost always an increase in dental emergencies over the holiday season. Every year we see people who had little sensitivities turn into full blown pain, break teeth, or develop other issues with their oral health. And, it is most likely to happen at the most inconvenient of times or when the dental office is closed for the holidays. If you have a tooth just starting to bother you or are aware of another building dental issue, we encourage you to come in now instead of trying to make it through until the holidays are over. We have seen this plan backfire on too many people and don't want you to experience the extra pain and stress that go with a dental emergency happening at the worst possible time. Don't let your teeth ruin your holiday. Take control of the situation and schedule an appointment to come in. You deserve a holiday that is free of dental pain and stressful moments. You deserve a holiday that is full of peace, laughter, and love. And, that is what we wish for you, too. Holidays are full of love, fun and celebrations, but when you are unhappy with your smile enjoying them can be a challenge. Especially with all of the pictures being taken. For some of you the solutions will be simple and others may be looking for a full smile makeover. We encourage you to give yourself the gift of a beautiful smile and the confidence it brings. Or, you can suggest it as a holiday gift from someone else. When you are ready give us a call. Helping people smile confidently is one of our favorite things to do. There are a lot of reasons to quit smoking including heart disease and cancer, but did you know that smoking can make your teeth fall out? Your mouth tissues are directly exposed to dangerous chemicals and your immune system is depleted when you smoke. This can result in dangerous oral cancer and gum disease. Gum disease is a bacterial infection that eats away at the bone and gums that support your teeth. Eventually, the teeth become loose and can be lost. The infection advances, further depleting your immune system and in some situations can even be deadly. If you are not motivated by long term health issues, maybe the idea of losing teeth or needing extensive dental work can get your attention. No one wants an unsightly smile with stained teeth and gaps where teeth used to be. And, if you choose to continue to smoke we encourage you to see a dentist regularly to keep your mouth healthy and your smile beautiful. Every November the American Cancer Society has a special event called The Great American Smokeout. They set a target date of the 3rd Thursday of the month for people across the country to quit smoking together. If you would like to learn more or take advantage of their many resources for becoming smoke free, click here. It's easy to procrastinate when it comes to dentistry, but it's seldom a good idea. Dental problems will get worse without intervention and you could end up needing more extensive and expensive treatment in the long run. Postponing dental care often results in several things going wrong in the same year, causing you to go over your insurance maximum and paying more money out of your own pocket. You might be wasting your dental benefits as well. If you have dental insurance there is probably an amount of funds allotted to you each year. When you don't use that money, it disappears on December 31st. We encourage you to contact us if you would like to take advantage of your benefits this year. Call soon, as dental offices can get busy at the end of the year and we may need some planning time or multiple appointments. If you have a missing tooth or are about to have one removed, in almost all cases it is important to have it replaced. Your teeth work together in a balanced system and when one is not there to carry it's share of the load, the others can be endangered. The most common ways we replace missing teeth are with implants, dentures, partial dentures, and dental bridges. Dental bridges are a "fixed" option, which means that they do not come in and out and feel like natural teeth. Usually bridges span over 3 teeth. Crowns are placed on the teeth on each side of the empty space to hold the false tooth in place. Bridges are a great option if the teeth next to the area where the missing tooth used to be are damaged, or have older or less than ideal dental restorations. The crowns needed for the bridge can strengthen these teeth as well. If the neighboring teeth are perfectly healthy an implant may be recommended instead. Don't put your remaining teeth at risk by leaving an empty space in your mouth. We can go over your options and help you preserve the rest of your teeth. Chewing sugarless gum after a meal or snack when you don't have a toothbrush handy will help clean your teeth. The chewing action wipes away food waste so that cavities can't get started. Xylitol, an ingredient in most sugarless gum, has antibacterial qualities that work against the bacteria that cause tooth decay. When you chew gum you stimulate saliva production. Saliva is nature's natural tooth cleaner. While chewing sugarless gum cannot replace daily brushing and flossing it can help you out when you've had a meal and don't have a toothbrush handy. People who chronically have a lot of cavities can benefit from chewing it more often. So, go ahead. This is one "candy" you can enjoy without feeling guilty. Cavities are not just for kids. Adults get them too, but they may show up differently. Children's cavities often start in the grooves on the chewing surfaces of their teeth, but adult cavities are more likely to be between teeth near the gums. These gum-line cavities happen where teeth are the narrowest and can cause a lot of damage very quickly. Tooth nerves are also nearby putting you at risk for pain, emergencies, root canals, or tooth loss. Avoid using throat lozenges or sugary liquid medications when possible. Do not use lozenges or sugary candy routinely if your mouth feels chronically dry. Clean between your teeth daily with floss or an oral irrigator. Ask your dentist if fluoride treatment or enamel protection products are right for you. See your dental hygienist more frequently for professional teeth cleanings. Avoid sugary foods, especially ones that stick to your teeth (like gummi bears or caramel). Stay up to date with your dental exams and recommended treatment. When your teeth are sensitive it is hard to enjoy the food and drinks you love. Sometimes, they may even hurt without being disturbed making every day uncomfortable. Fortunately, there are things you can do to help make your teeth more comfortable. Getting the smile you have always wanted is not always complicated or costly. There are a variety of ways that we can help you, some are simple and others more comprehensive. Professional Teeth Whitening - This is one of the easiest ways to give your smile a lift. We provide everything you need and support along the way. You can even update your whitening periodically if you have done it in the past. Cosmetic Bonding - When you want to make small changes like fixing a chip or filling a space we often recommend bonding. With bonding, we can use tooth colored filling material to fill in or cover small flaws in your smile. The process is quick, easy, and relatively inexpensive. Porcelain Veneers, Crowns or Bridges - Porcelain is one of the strongest and most beautiful dental materials available. It is our material of choice any time we work on teeth that show in your smile. Restorations made of porcelain can change the color and shape of your teeth and work well when bigger changes are wanted. They can be used to repair a single tooth or a series of teeth for a full smile makeover. 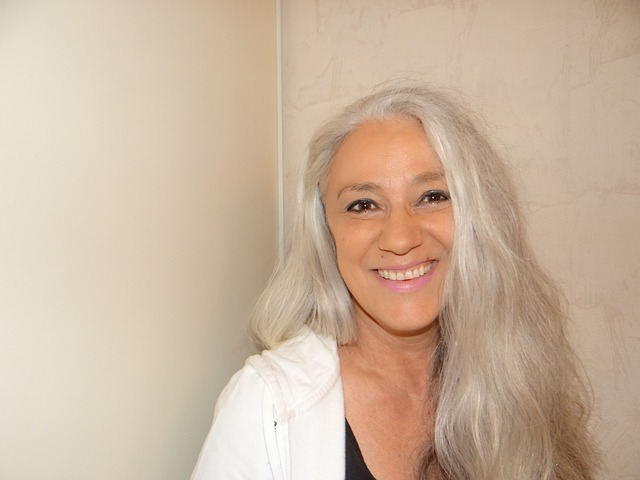 More Advanced Cosmetic Dentistry - When getting the smile you want is more complicated or your teeth have other issues, we can customize a plan for you. Your plan may involve different types of treatment or restorations, but we will make sure it will be the ideal way for you to get the smile you want. The first step is always a consultation where we will talk about what you want and discuss options that will be right for you. You can schedule one by calling (714) 779-5000. 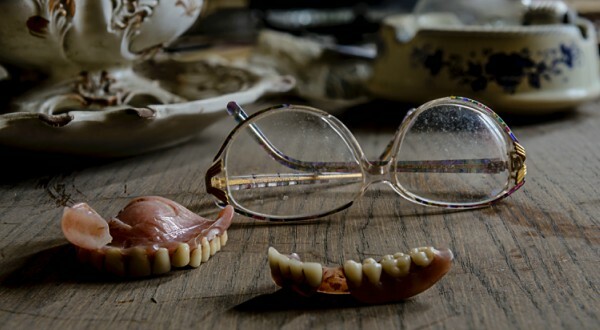 Most people think that losing teeth, dentures, and poor oral health are just part of the natural aging process, but that is not true. Teeth are more likely to be lost due to damage or poor oral hygiene and can often last a lifetime with proper care. It is important to be watchful and alert as your family members get older as they may not communicate challenges they are having. Preventing dental problems is more important than ever as we get older. It is much harder to go through dental treatment at an advanced age and issues that could have been prevented can become more challenging and expensive. If you have a senior in your life, we encourage you to stay alert to any challenges they may be having and support them in keeping their teeth healthy for their lifetime. While it may seem that the brush with the hardest bristles will clean best, we only recommend soft bristled brushes. They clean effectively, slip easily into nooks and crannies, and are gentle to your gums and tooth enamel. The head or handle shape of the brush you choose does not make a lot of difference in its function. Choosing whatever feels good to you is the best option. 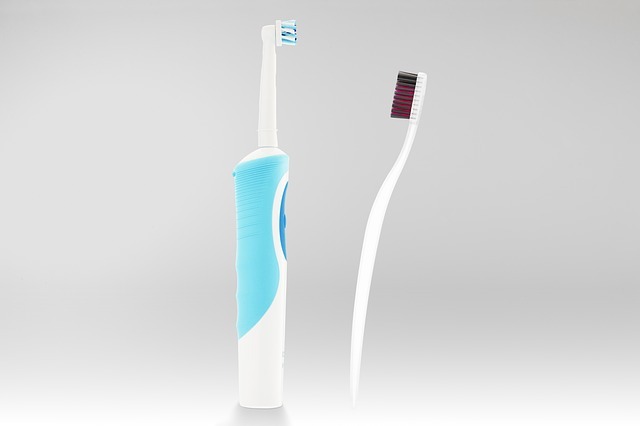 Consider purchasing a professional level electric toothbrush. They are designed to provide more brush strokes per minute at an optimum level of pressure. Many of our patients find them easier than hand brushing, and we often see an improvement in their oral health when they start using them. Choose different colors for each family member to avoid confusion. It is best to store them in a way that the brush heads don’t touch, especially if someone has gum disease, a cold, or the flu. Motivate your children to brush more by letting them choose brushes with their favorite cartoon or movie characters on them. 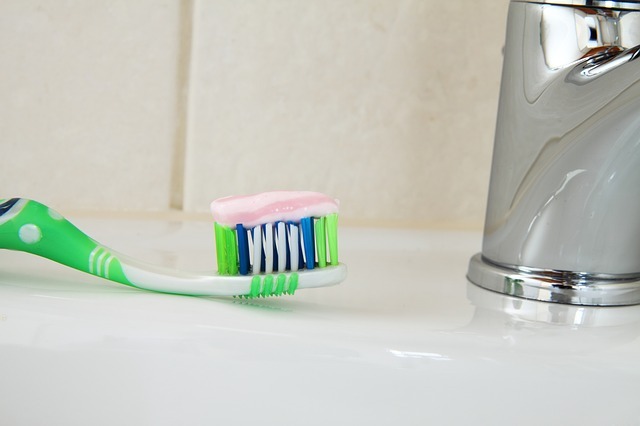 The simplest way to get a toothbrush that is ideal for you is to come in for a professional cleaning. We will give you one for free. The first step in healing your halitosis is to make a dental appointment. We can resolve any oral health issues and ensure you get the support you need if there is another cause. It’s time to stop singing the Bad Breath Blues and start feeling more confident in your breath again. Cavities - A cavity is defined as a hole and when tooth cavities get deep enough they can come close to the nerves in your teeth. These nerves are what cause pain. 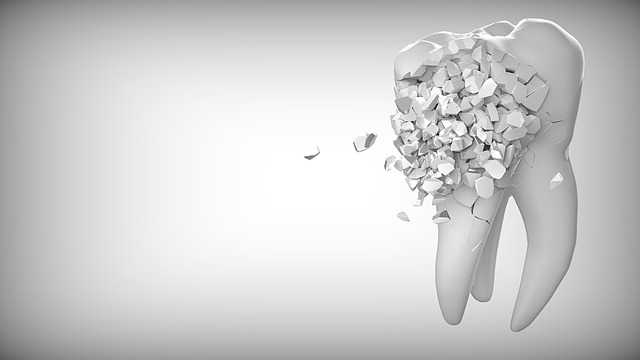 Chipped, Cracked or Fractured Teeth - If the damage is near a nerve, your tooth is likely to hurt. The closer to the nerve, the more painful it will be. Tooth Abscess - Abscesses are infections that commonly lead to throbbing pain and swelling if not attended to. These are what most people think of when they think about bad toothaches. Gum Disease - Also known as periodontal disease, this infection causes inflammation and eats away at the gums and eventually bone that support your teeth. Clenching or Grinding Teeth - This condition is called bruxism and can make your jaw tender or cause joint damage. The extra pressure on teeth can also irritate their nerves causing sensitivity, sometimes in multiple areas of your mouth at the same time. Gum Recession - When gums recede, they are no longer insulating or protecting the most vulnerable areas of your teeth. This can lead to sensitivity, especially when eating or drinking something cold. Sinuses - Sometimes sinus issues cause referred pain in the teeth. When this happens your teeth can hurt even when there is nothing wrong with them. The best thing to do if your teeth are feeling sensitive is to come in and have them checked before the pain gets worse. We can help you prevent problems and correct ones that have already started. Our goal is to keep all of our patients pain free. Even if you have whitened your teeth in the past, there may be maintenance involved in keeping them as white as you would like. Here are some of the things we recommend. 1. Don't eat or drink foods that stain your teeth like coffee, tea, wine, or blueberries. 2. Use whitening toothpaste - these products can help diminish surface stains that are easily removed. 3. Rinse your teeth with water or chew sugarless gum after eating or drinking staining treats. 4. Do a touch up whitening - if you already have custom trays made by your dentist, you are usually able to purchase individual tubes of whitening gel to refresh your smile. 5. Get a porcelain smile - porcelain veneers or crowns do not stain or change color and are the most permanent option for a beautiful smile that looks good, feels good, and lasts a long time. We know that you want to keep your family as healthy as possible and that means preventing the spread of cold and flu viruses. How you store and use your toothbrushes can play a big role in staying healthy during this cold and flu season. The most obvious thing is to not share toothbrushes. We know you probably don't, but someone out there is. Don't store family toothbrushes together in a cup where they can touch each other and spread germs. Clean and disinfect your toothbrushes regularly with peroxide or mouthwash. If someone has been sick you may want to buy them a new one. While you are at it, be sure to clean and disinfect the containers your brushes are stored in as well. Let your toothbrush breathe between uses. Enclosing it in a small plastic cap creates a dark, moist breeding ground for viruses and bacteria. Make sure everyone knows not to touch their toothbrush to the toothpaste container or give everyone their own tube of paste. And on a side note, don't store open tooth brushes within 10 feet of the toilet. That is how far bacteria can spread when the toilet is flushed. Or, make sure everyone puts the top down before flushing. A sneeze comes out of your mouth at over 600 miles per hour. Dogs have 42 teeth – cats have 30 – snails have thousands. Flossing every day can increase your life expectancy by 6 years. Jaw muscles can put as much as 200 pounds of pressure on your molars. Dentists are one of the top five most trusted professionals. Getting your teeth cleaned regularly can help prevent a heart attack. Cavities are the second most common disease in the U.S., following the common cold. James Dean was missing his front teeth and had them replaced with a dental bridge. The average person produces 25,000 quarts or 2 swimming pools full of saliva in their lifetime.